Harry Potter and the Philosopher’s Stone is 20! 2017 marks the 20th anniversary of the first Harry Potter book. 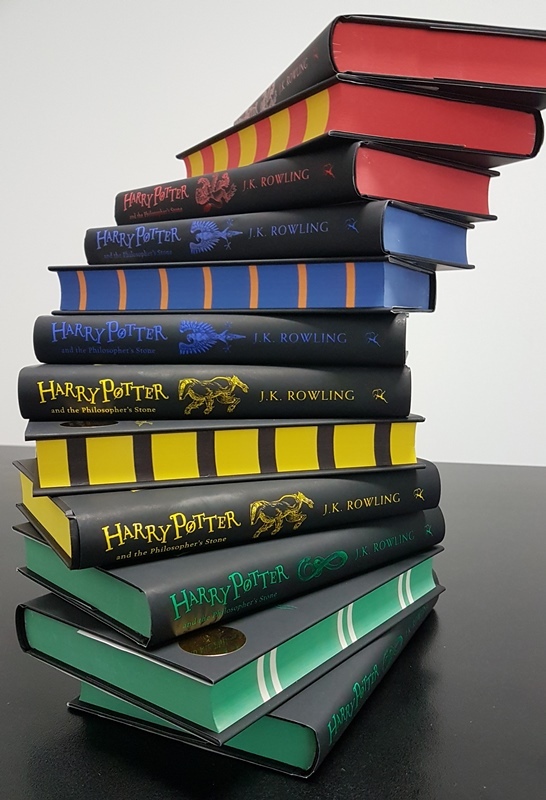 We have bought new House editions of Harry Potter and the Philosopher’s Stone for the Library that feature exclusive added material specific to each House. The first comment anyone says who seems them is ‘they are so beautiful’! You wouldn’t think librarians would get so excited about new editions – but they do! As I was getting them ready for the shelves I lost count when I reached 6 staff coming up to have a look and feel and this started a great debate on who belongs to which house…we seem to have a lot of Gryffindor’s! If you want to be sorted into a House try this fun quiz. This entry was posted in Children, New Arrivals, Staff Favourites by Parra Reader. Bookmark the permalink.